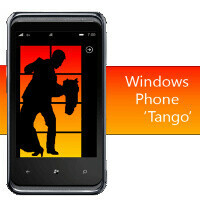 Windows Phone Tango coming at CES, Apollo - mid-June 2012? The Windows Phone Mango was a huge redefinition of the Windows Phone platform with some 500 new features and it brought WP almost on par with other mobile platforms in terms of features. The next update in Microsoft’s planned is Windows Phone Tango and while it’s reportedly not as big as Mango, rumor has it that it’s coming very soon. Tango could be officially announced at CES 2012 and released soon after that with new features like support for LTE, smaller screens, and smaller chassis sizes. The big overhaul of the Windows Phone platform however is expected to come with the Apollo update, which has been tipped to arrive on device in mid-June 2012. Apollo is also believed to be referred to as Windows Phone 8. Nokia will follow up on the Tango announcement with a set of devices that could be unveiled at Nokia Connection 2012. Now, this is allegedly coming from an insider source with knowledge of the matter, but we’d definitely take it with a huge grain of salt. For once, it says Nokia will release a Windows 8-based tablet at Nokia Connection 2012, while just recently Stephen Elop has said Nokia is not even planning a tablet yet. The same rumor says that Nokia will show two new devices on CES along with the Tango update - the Nokia 719 and Nokia 900. Now, we've already seen what looks like leaked images of the Nokia 900, so we do hope there’s a grain of truth in that. Keep your fingers crossed - CES is just a couple of weeks away. If the Nokia 900 has a front facing camera then I believe it will be the best of the best windows phone 7 smart phones. The HTC Titan could beat it if it gets an upgrade to an amoled screen. After june 2012 when Nokia comes out with the Apollo super Nokia windows smart phones which will have all the bells and whistles and be technologically equal to the best Andriod phones , the Iphone 5 will have a higher HD screen but Nokia and windows smart phones will truly be the third smart phone ecosystem for people to pick and choose to use.I think Nokia will make enough profit to never have to worry about Microsoft having to buy it to save it. Yes, if the Lumia 900 ( or whatever it's going to be called) gets an FFC and LTE, then it's going to be a phone to have! I just hope Nokia moves a little faster though. I just couldn't wait anymore for the Lumia800, I decided to get the HTC Radar instead to add to my Android. No doubt the 900 will bump the Titan as the top device. (Although I would argue my Focus S is the top Windows device on the market. But, a posting for another day.) But what I am very curious about is the Tango update. If rumors are true, that update is aimed at providing a Windows OS for lower end phones, not an upgrade on the Mango running phones. I am really pumped for Apollo. Although Tango is going to be a minor update, I believe it's still going to be a crucial one because it will bring LTE support to Windows Phone 7. My guess is that Tango isn't built specifically for lower end phones, but rather an update that would allow for a greater range of hardware to be used (from lower end in terms of memory, resolution, etc. to higher end with LTE). That makes sense. It is also the logical next step in creating a wide enough ecosystem to allow for different form factors, more CDMA support, ect. Is it too much to hope for that it will allow landscape on all screens? That is a huge pet peeve of mine with WP, and a serious reason physical keyboards have not taken off better. I wouldn't count on the landscape part. The OS itself was largely made for use in portrait mode; there would be a ton of work involved in making everything (non-apps) work in landscape, and it may be functionally inferior in that it would be focused on two-handed operation and be able to display less information on the screen, at least the way the OS is currently designed. Not so fast. It may bump the Titan as a top device, but HTC is rumored to be releasing an LTE WP7 device for AT&T in February. You would think this would bring more changes than just the addition of LTE to the Titan. The main feature many people are waiting for with Windows Phones are LTE. For these people screaming FFC, who really uses them to video chat.? The only time I've seen people utilize the FFC is when they want to take pictures of themselves. I love the Windows Phone platform, but I feel that once LTE support is on board, I'm sure it'll attract some new smartphone users. Metro UI is so clean and beautiful and the Live Tiles really just make the platform pop. Cannot wait to see what Tango and Apollo brings. So, if Tango is only a minor/moderate update and Apollo overhaul is coming mid-2012... then basically don't even think about getting a Windows phone for 6 months if you're coming in fresh to the platform.